H. Norman Wright combines biblical principles with his enthusiasm for dogs in this warmhearted and inspiring devotional. In stories of loyalty and perseverance, Norm draws parallels between the dog world and the human world to reveal God's love in action: •	A dog's tendency to gnaw on bones reflects how people handle worry. Instead, people can give God their fears and experience His peace. •	A cowering dog becomes joyous when forgiven. When people confess their sins, they receive God's forgiveness and joy returns. •	A dog who rescues a boy in a tsunami shows how the Holy Spirit convicts people of sin so they'll turn to Christ and be saved. 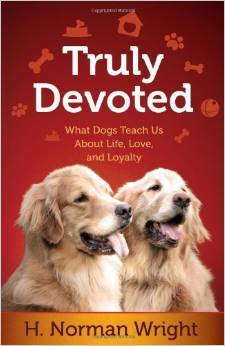 From daily antics to extraordinary deeds, these dogs personify the ups and downs of life and highlight the joys and benefits of following God.